Home About Universe Astronomy Astronomy Picture of The Day Beginners Gallery Info Missions Physics Planets Technology Buzz Aldrin Describes His Encounter With A "UFO"
Buzz Aldrin Describes His Encounter With A "UFO"
“On Apollo 11 in route to the Moon, I observed a light out the window that appeared to be moving alongside us. There were many explanations of what that could be, other than another spacecraft from another country or another world - it was either the rocket we had separated from, or the 4 panels that moved away when we extracted the lander from the rocket and we were nose to nose with the two spacecraft. So in the close vicinity, moving away, were 4 panels. And I feel absolutely convinced that we were looking at the sun reflected off of one of these panels. Which one? I don't know. So technically, the definition could be “unidentified.”"
He started to explain that statistically, life is assured to occur somewhere else in the Universe and could very well be in our own Milky Way, but he does not consider for a second that what they saw on the way to the moon was anything like alien. 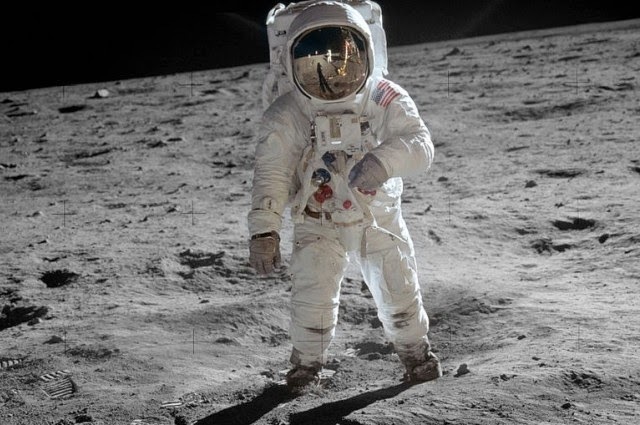 Buzz Aldrin also said that the passion that was present for NASA to push limits and go to the moon is missing from America today. In the late 1960s, NASA signified nearly 4% of the federal budget. Nowadays, it is closer to 0.5%. Transformed public attention will be vital for human examination of Mars and further beyond, which is the next border of space travel. "Realize that you are perhaps the most ambitious, the most historical pioneers that the earth has produced since its beginning. And you are given a great honor in spending the rest of your lives pioneering for mankind. AND HAVE FUN!"